1. 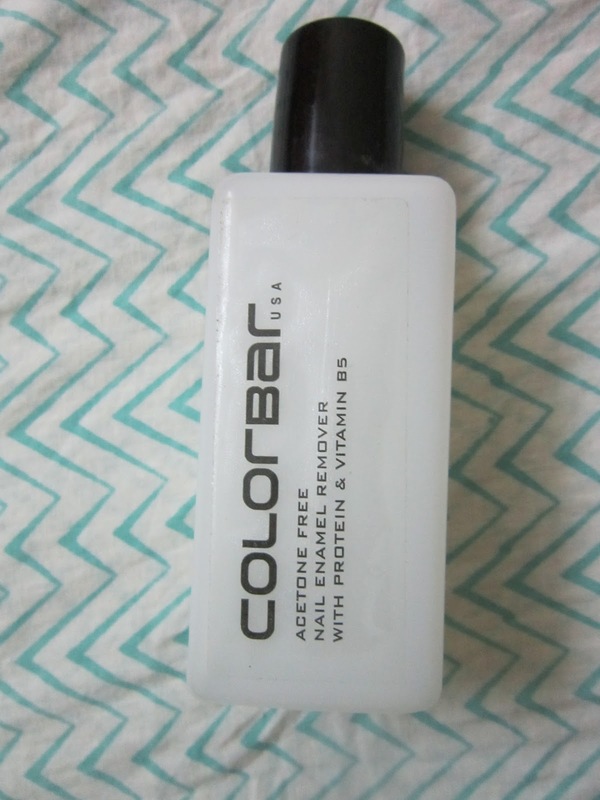 Colorbar Acetone Free Nail Enamel Remover - Hehehe, technically NOT a skincare product, but I'm sneaking this one in. This product is really good to remove normal as well as glitter nail colours. If you have followed me on Instagram long enough, you know how much I love Maybelline Glittermania's Pink Champagne. This nail polish remover makes taking it off, a breeze. Same for any other glitter nail colours I wear. LOL random thought - I'm mommy to a 3yr old... are Glitter nail colours age-appropriate? ;-) dont answer that btw!! 2. 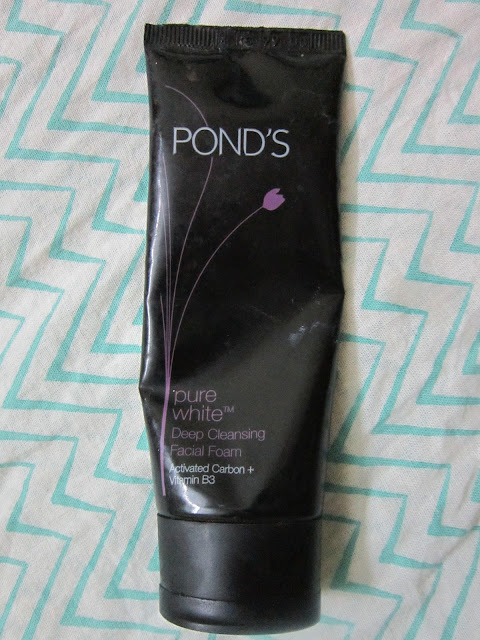 Ponds Pure White Deep Cleansing Facial Foam - I made it national news (..almost!) when I discovered my love for Baby oil as a makeup remover (Read HERE). 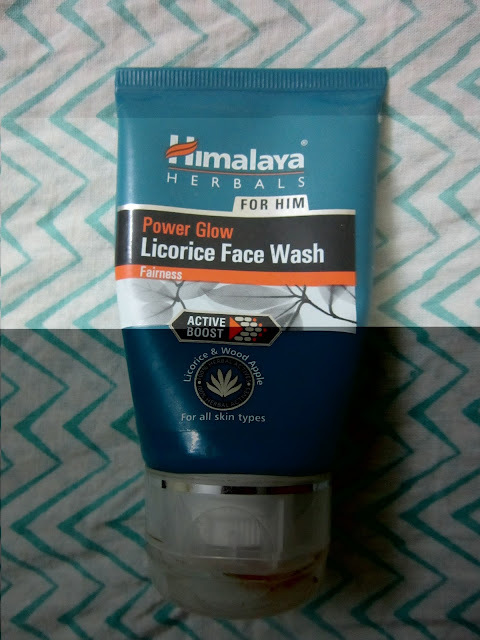 This face-wash removes all traces of residue baby oil & makeup. Also handy on days that I'm out of makeup remover & baby oil...yes, yes...guilty as charged! On such days, I wash my face with only this face-wash and sleep peacefully knowing my skin is clean. 3. 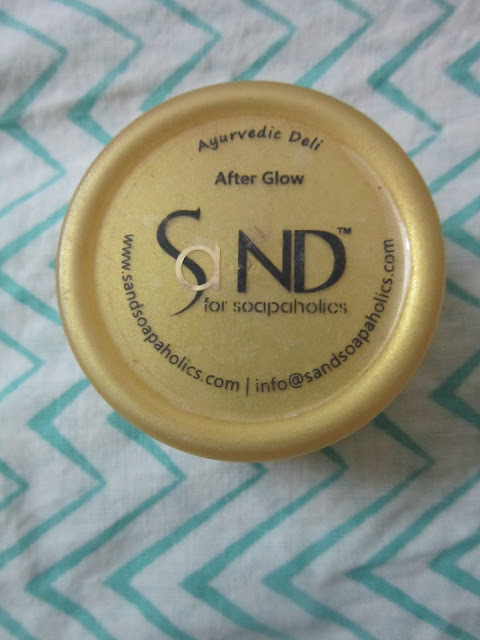 Sand for Soapaholics After Glow Face Cleanser - This is a product I received in my May Fab Bag (Read HERE). It's nice but nothing great to write home about. This product actually got me curious about the brand & I bought their Mint Pedi Butter to try out as well. While that one's really great, this almond cleanser didnt make that great an impression on me. 5. 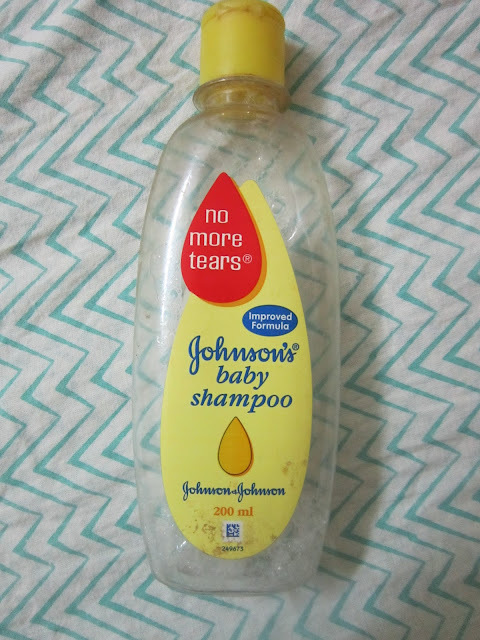 Johnson's Baby Shampoo - Read all about this multi-tasker HERE. I really like this shampoo to clean my makeup brushes, Tangle Teezer, etc....well ahem! apart from my boy's hair. It's just as gentle on everything else as it is on a baby's hair. Have you 'finished off' (lol here I go again!) any products in August? What are your thoughts on them? Let me know in the comments section below. 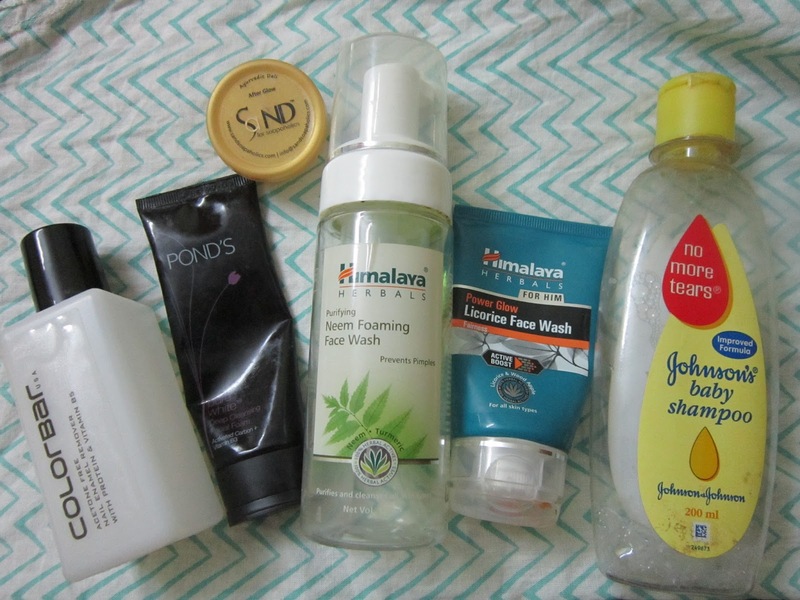 Hope you like these smaller, more concise 'Empties posts'. Until the next post, Ciao!!! 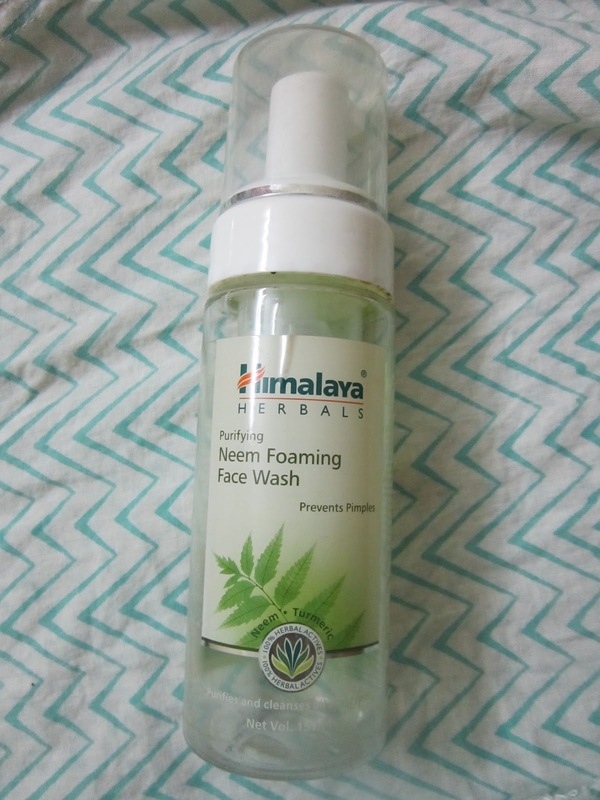 That's a great idea too Vanni :-) Neem face washes have disinfectant properties, so there's a plus! !